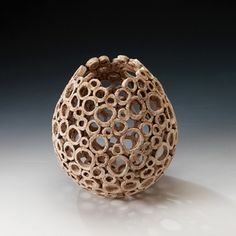 I like the second one because it is made of circles and you can see inside it. I think it looks unique. My favorite is the second one because it is hollow and you can tell there was a ton of work put into it. I like the second one, because it is completely different than any other pots. I also like how you can see inside of it. These are all really unique and neat. I really like the 3rd one. All of these are really creative. My favorite is the 3rd one because it has so much detail and it's unique. I like all of these coil pots. my favorite is probably the second because it is very different. I like the 2nd one! It is so unique and intricate. I like the first one, it looks so simple yet complex! I like the last one because it has an octopus on it and I think that's a cool design! You can tell a lot of work was put into and it's more than just a plain pot. All of these are unique. I like the 2nd one because it looks like the hardest one to make. The 4th one is my favorite because it is very interesting and detailed. My favorite is the second one because it is so different and you can see inside of it. All of these pictures are beautiful. 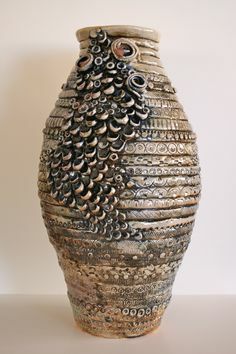 I never knew that coil pots could turn into something as unique as these. I like the second one the best with all the holes because it is cool how the coil pot still stays together. The first coil design is the best because it has no type of pattern to it. I like the first, because it’s color is very bright, and it‘s pattern is very good. I like the first one because it looks like it was made off the wheel instead of using the coil method. I like the second one because it looks really complicated and cool. I like all the designs on each one and how they are all very different from one another. My favorite is the fourth one because it is unique and looks like it took a lot of time and effort for the artist to make it.